Two landscape architecture students from Ball State University completed a study of the bicycling infrastructure of the United States by traveling around the country themselves via bicycle. 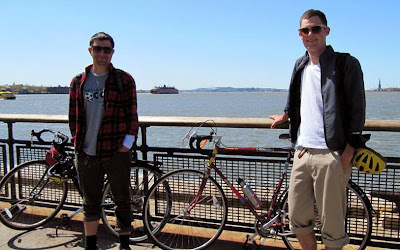 David Bader and Patrick Beyer are fourth-year students and avid bicyclists, so the two decided to conquer a unique learning experience where they would study the infrastructure of different cities around the United States firsthand from their own bicycles. Prior to the trip, Bader and Beyer visited the GIS Research & Map Collection (GRMC) in Bracken Library to review maps depicting the topography of the areas in which they would be riding their bikes. The students used several topographic maps to help plan their journey. The GRMC also has a collection of biking tour maps that also proved to be useful. The students determined a route in which they could bicycle for part of the way and take hybrid trains to connect them to the next city: http://cyclinginfrastructure.com/route.html. Beyer departed from Indianapolis on February 21, and Bader left via train from Cleveland. Beyer explored Vancouver during the Olympics and then met up for the rest of the trip with Bader in Seattle, Washington. The students biked from Seattle to Portland, Oregon. By train they reached San Francisco, and travelled by bike to Monterey and Los Angeles, California. By March the two had reached San Antonio, Austin, and Houston, Texas. Then the next stops were New Orleans, Louisiana, and Baltimore, Maryland. 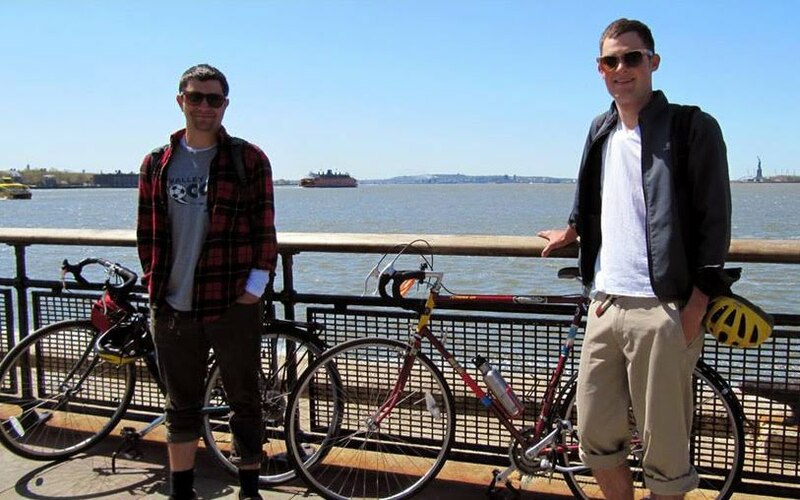 They biked from Baltimore to New York City and took the train back to Chicago. Contact the GRMC at 765/285-1097 for more information about using maps to coordinate tours and vacation planning.